ROCKLIN, CA.. 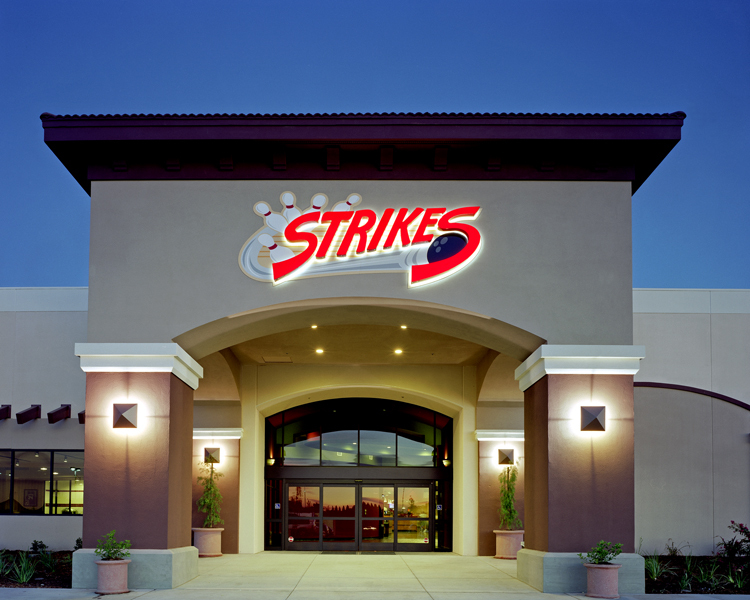 Strikes Unlimited, a Bowling Entertainment Center, covers 64,000 sf of bowling, family entertainment services, and sports restaurant dining. The 50-lane bowling center is arranged in a split-house pattern with zones for open play, league play and private play lanes. The sports restaurant, Coach’s, offers a media-intense are. The nearby “skybox” rooms are for private banquets or lavish group dining. Also featured is outdoor patio seating and corporate conference rooms. The Arcade/games area is designed for team building activities with family party rooms, video and arcade games, laser tag and a 20’ climbing wall. Wall to wall audio-visual graphics equipment adds an intense light and sound experience for in-house programming and scoring in the open play lanes area. For additional information on Bowling Entertainment Centers, download our the brief guide: Essential Tips for Bowling Entertainment Center Design- part one. 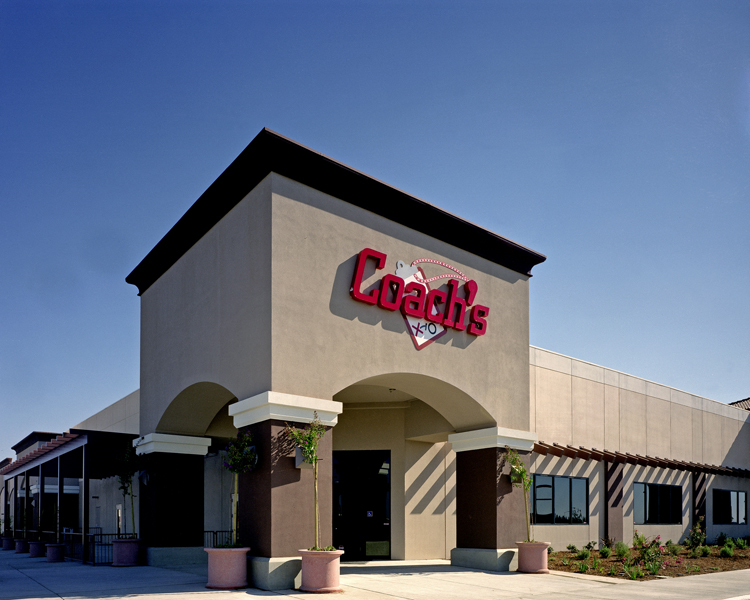 The 300-seat sports restaurant, Coach’s, is designed as a separate business unit, with separate outside entry and common inside access. This helped the Owners in their business planning, payroll and time-of-use. The kitchen is designed for both quick-serve (to the right/ lanes service counter) and restaurant dining (plates, larger menu). Bowlers access service from the concourse counter (right) and Lounge Customers have table-wait service. 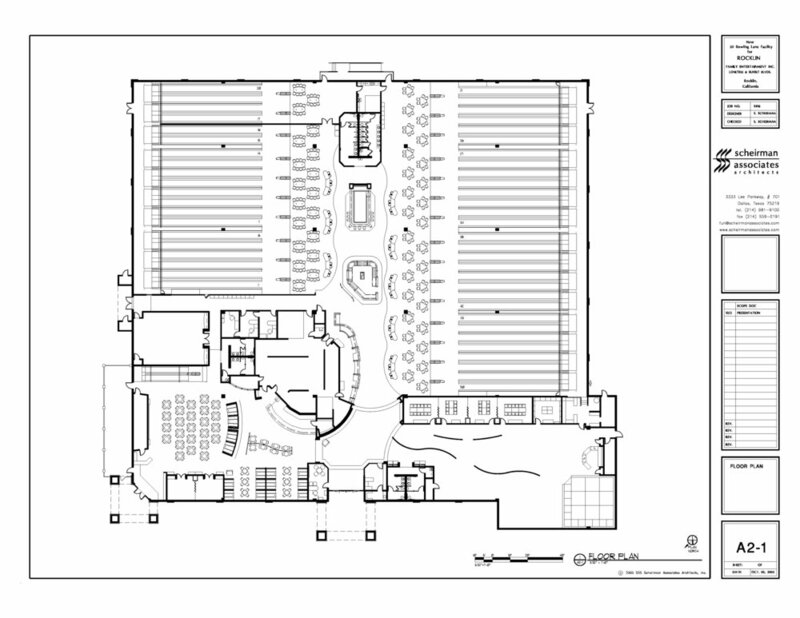 The larger space in the upper left is the “skybox”, a multi-venue conference / party space. Outdoor dining is to the left in plan. 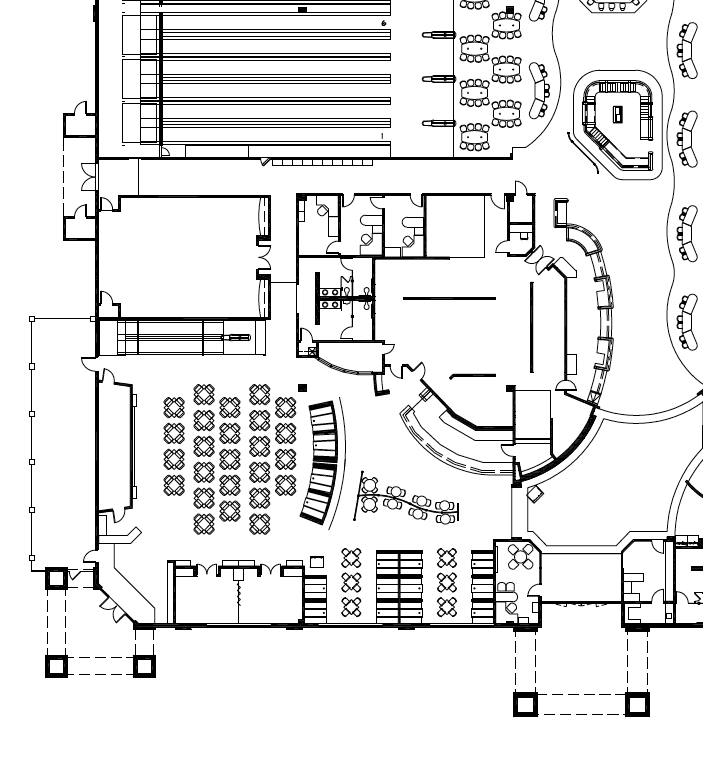 The center is a split-house layout with players' area on the right for open-play/league bowling....the players' area on the left for open play that can have separately controlled lighting and sound environment. The VIP area has 6 private lanes with leather recliner couches and pool tables. Central to the concourse is the check-in, shoe counter and island bar. In this way, the customers are drawn into the facility and the Customer service experience is centrally supported.